Get outstanding performance and up to twice the flow of OEM filters with the CorkSport 3” outlet conical dryflow air filter. This durable, synthetic fiber air filter is reusable and water resistant. The unique non-woven filter media does not require oil to filter and trap dirt and actually sheds dirt under engine vibration unlike cotton-gauze which holds contaminates until you clean your filter. Choose from three different color options:The filter media is available in blue, read or dark grey to compliment your short ram intake silicone and MAF housing selections. Oil-free filtration media: The unique non-woven filter media does not require oil to filter and trap dirt and actually sheds dirt under engine vibration unlike cotton-gauze which holds contaminates until you clean your filter. Specifications: The CorkSport 3" Outlet filter has a 4.75" filter media length, protrudes 6” from end of fitting to which it is attached and is 6" at its largest diameter. Further dimensional data available on request. Call 360-260-2675 for replacement filters for those intakes. Since most of the "reviews" for this filter seem to be questions rather than reviews, here's an actual review. Great filter. I live in a very dusty rural area and the claims that this filter sheds dust are accurate. Still, every oil change it should be taken off, tapped or gently blown off to get any stuck-on dust off. I use a simple, green colored spray cleaner to clean it. Just spray it all over, let it sit, rinse with warm water, dry in the sun and you're good to go. Performance was slightly improved, but the engine sounds better and runs and lower RPM with this filter as compared with the OEM filter. Great product, worth getting. Thanks for the Very Quick Shipment. The flow is so much better for my engine. Thank you! what happens if i applied Air Filter Oil to my filter? do i need to replace it? Is this filter fit the mazdaspeed 3 corkspork old intake(Axl-6-118-13131)? CorkSport Reply:Check out our FAQ for this part for an answer. Will this work with my SURE aeros Sri? Hello, will this fit a hks sri? will this fit a cobb sri? CorkSport Reply:It will not, the base is too large on the cobb. Will this fit a Mazdzspeed cai on a 2008 speed3? CorkSport Reply:The filter fits the SRI you have. will this filter fit on a cobb sri? CorkSport Reply:It will not, the COBB uses a different size base. Is it ok to use this filter in the winter? What is the lowest temperature of using this filter safely? I heard there is multilayer version of dry flow airfilter for the winter. 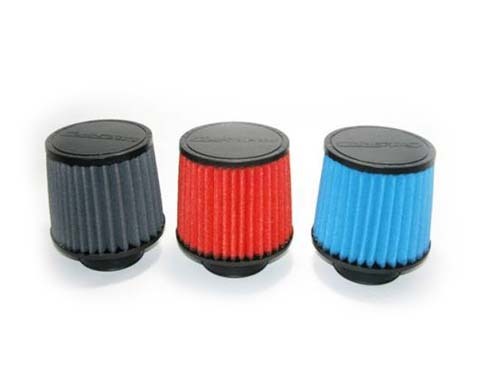 CorkSport Reply: The filter does not have a lowest operating point. There are no oils in the filter to have change based on temperatures. When should this filter be changed? I've cleaned mine once with some compressed air, but was wondering about the replacement interval. The stock 2.0L SkyActive airbox has a circular protrusion into the airbox. Will this filter fit on the protrusion? Thanks! >>CorkSport Reply:This is just an air filter. You need to purchase the Shirt Ram Intake whic this filter has included along with the other needed piece to install. This part is compatible with my 2014 + Mazda 3 2.0 SkyActiv Power Series Short Ram Intake, correct? Thanks. Ive been running this filter for a long time (3 years) without cleaning. How do i clean it? You answered someone above saying that you sell a cleaning kit but when i search for dry flow filter cleaning kit nothing comes up. Can you please tell me how to clean it safely? does this filter go hand in hand with your cs silicone elbow for a 2008 mazda 3 mps?? How do you clean the corksport dry flow air filter? I got the short ram intake for my Mazda 3 2.0L (non-skyactive). Will this fit on? How do you clean the corksport filter? Are there any heatshields or filter wraps that can be used with this? The AEM pre-filter part#1-4000 should do the trick. 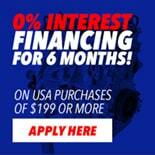 Will this fit a MazdaSpeed intake for a 2006 Mazda 6? If the inlet on the intake is 3 inch yes it will. How often does this filter need to be replaced? It should be cleaned on the normal cycle of your OEM air filter. If you are in a dirty/dusty environment more often is recommended. Will this fit a stock 07 Mazda 3? Just to verify, this is the filter used on the Stage 2 SRI for a 2010+ Mazdaspeed 3 (Axl-6-118-100), correct? Yes, they are not designed to be oiled. Do you sell this filter to suit your 3" intake for sale? You would need to call us to order the 3" intake filter. Is this filter cross-compatible with a Cobb Tuning SF Intake for 2010+ MS3? The filter should work on a Cobb Tuning SF but we have not tried it. This filters works with the Axl-6-118 intakes.